Dave has been introducing divers to the underwater world since 1997. He is also an avid underwater videographer. If you have been on one of the Adventure Scuba trips, you will probably see yourself! 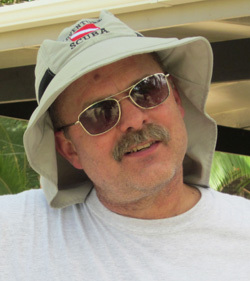 As a PADI Staff Instructor, Dave teaches all levels of diving up to PADI Assistant Instructor. He also teaches a variety of PADI Specialties, including: Night, Deep, Underwater Navigator, Underwater Photographer, Project Aware, Underwater Videographer, Enriched Air, Boat, Altitude, Equipment Specialist, Dry Suit, Drift Diver, Peak Performance Buoyancy, & National Geographic. He also is an Emergency First Responder Instructor. Welcome our newest Instructor, Heather Gallagher. Heather’s passion not only for the water and our underwater world, but also her passion for changing lives has lead her into the professional side of the PADI organization. 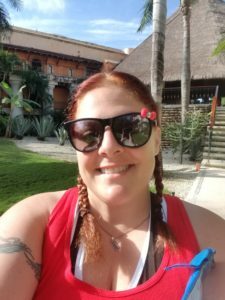 Heather is working on obtaining numerous specialty instructor certifications so she can teach not only Open Water, Rescue and Divemaster certifications, but also specialties such as Deep Diver, Navigation, Night Diver, etc. Heather loves to travel and is very passionate about the Project AWARE program. 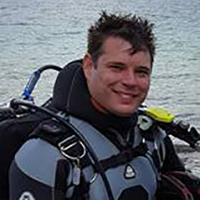 Nic is an enthusiastic diver, his love of diving carries forward to his ability in helping new and experienced divers find the right equipment or courses to help them achieve their goals. Nic is also the factory trained, in house service technician for: Oceanic, Hollis, SpareAir, Apeks, and AquaLung – keeping your gear in peak performance. Having up to date knowledge of the function and technical specifications of equipment allows him to assist customers in choosing the right gear kit for the type of diving they will be doing. In holding a certified cylinder inspector number with PSI/PCI, ensures your cylinder will be inspected and held to the current USDOT, CGA, manufacturer, and SCUBA industry standards. Debbie has been diving for several years- she just finally turned in her parachute for a scuba tank! She has discovered that sky diving and scuba diving are both thrilling. 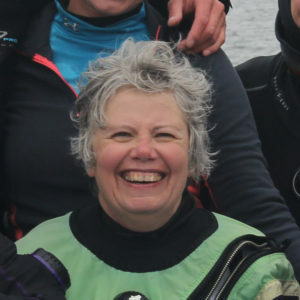 As well as being a Divemaster, Debbie is a Master Scuba Diver. She has been a PADI Divemaster for over 10 years and enjoys introducing new divers to scuba in classes and through conducting Discover Scuba Experiences. She also conducts Scuba Reviews and PADI Re-activate. Carolyn started diving in 1995- Dave had gotten certified and was having a blast. So, instead of being stuck on the beach, she dove in. Little did she realize that learning to dive would change her life and lifestyle! She holds various recreational scuba ratings, including PADI Master Scuba Diver and enjoys underwater photography. 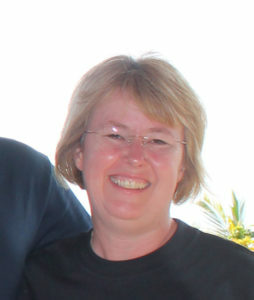 Carolyn is the Adventure Scuba Travel Specialist. She organizes the group trips as well as assists divers in planning and booking individual trips.